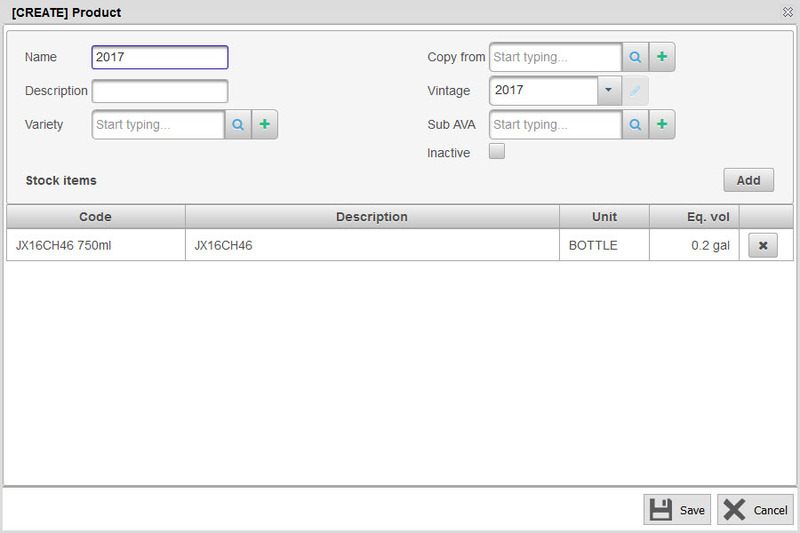 You can now add stock items to products for easier product management when you do your production planning. Select Winery Setup > Manufacturing > Product. 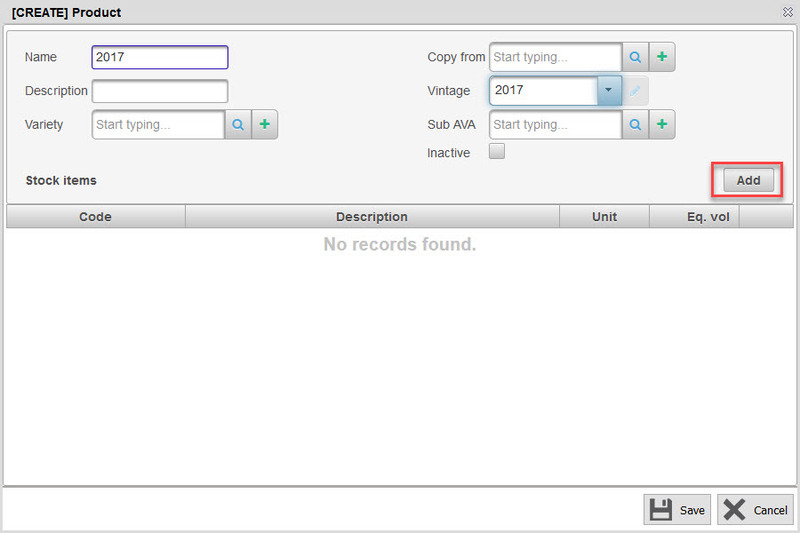 Create or edit a product, and then click Add to add a stock item. 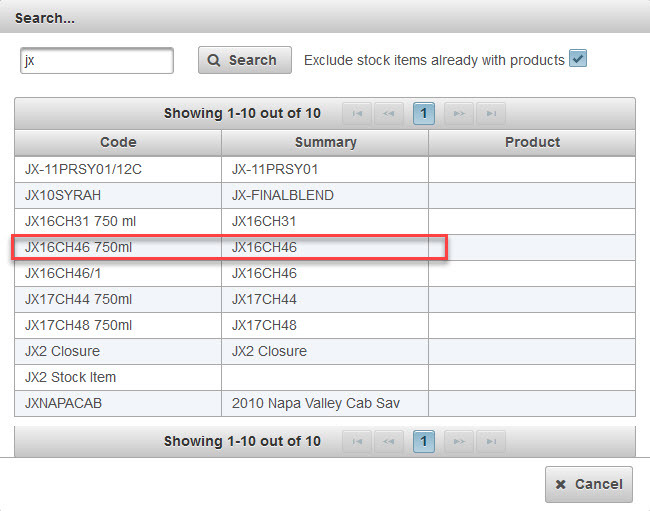 Click the stock item that you want to add to the product. The stock item is added to the product.